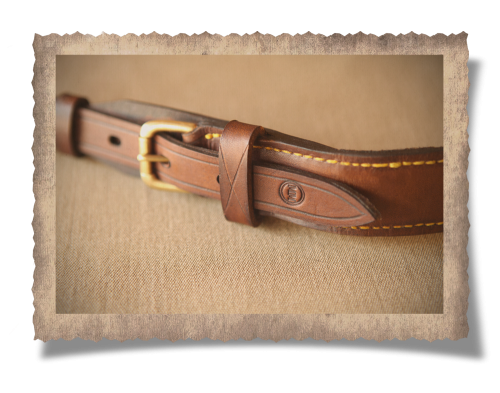 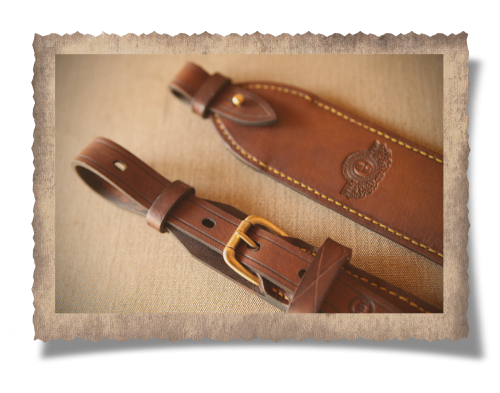 Our rifle slings are crafted using only the best materials we can find.from high quality, genuine leather to solid brass buckles and studs. 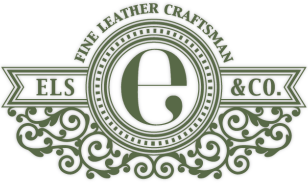 All our fittings are cast by artisinal foundries in the United Kingdom to ensure the best quality in casting. 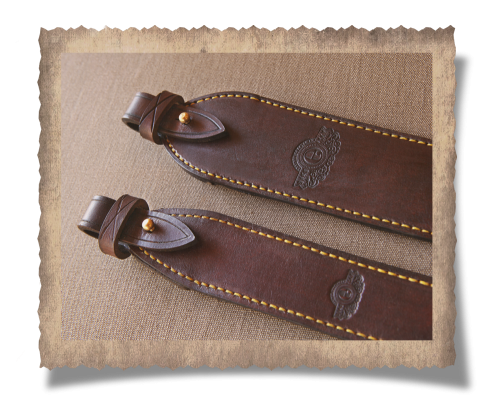 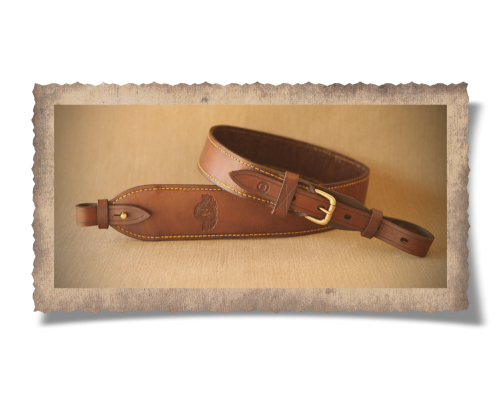 The Graaff-Reinet Leather Rifle Sling comes in two different widths, 65mm and 45mm. 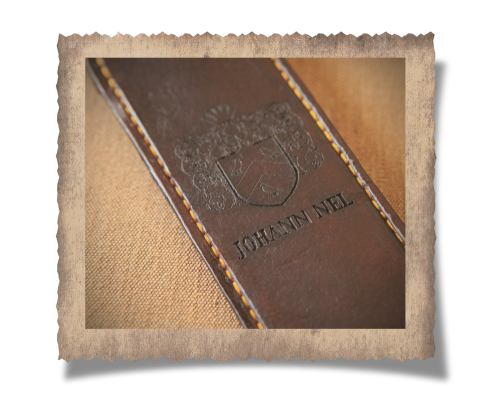 You can personalise any of our products by having your name, family crest or the caliber of the rifle for which the product is intended, laser engraved into the leather.